We support live streaming and real-time data from many data feeds. Our list with integrated data providers and feeds is continuously expanding. The Live Data tab in the Instrument Panel contains the Instrument Symbol Lists. Server-based lists are found under the "Default Lists" symbol tree. 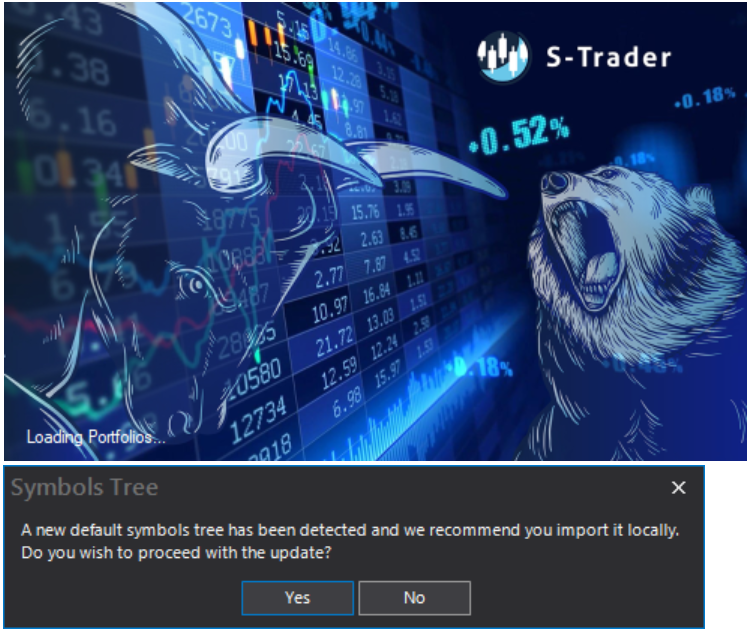 Your local-based lists are found under the "Custom Lists" symbol tree. Both sections have the symbols categorized per specific data providers. Only the data providers you have entitlements for will be shown. The Default Lists section is further split into "Full Lists" and "Quick Lists". 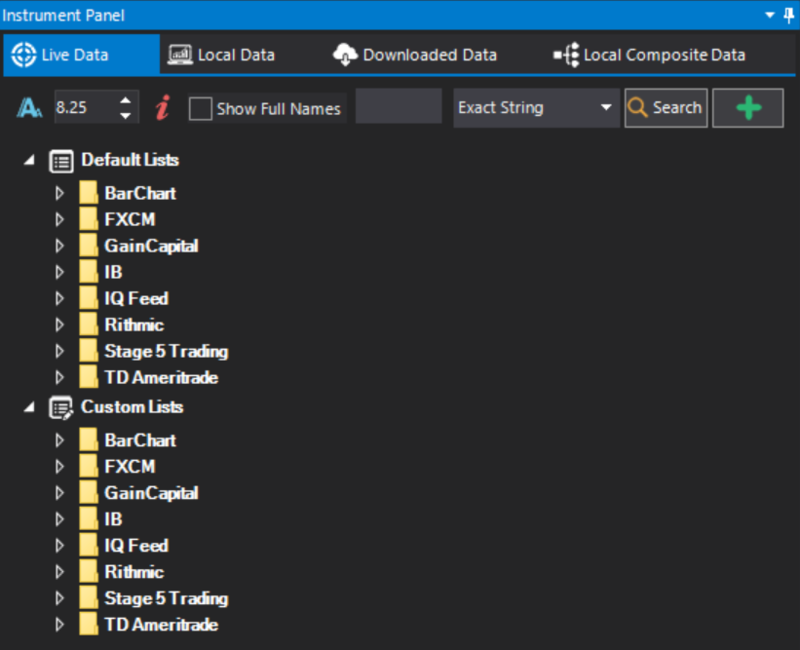 Full lists would typically show all available symbols grouped by asset class and, where applicable, by exchange. 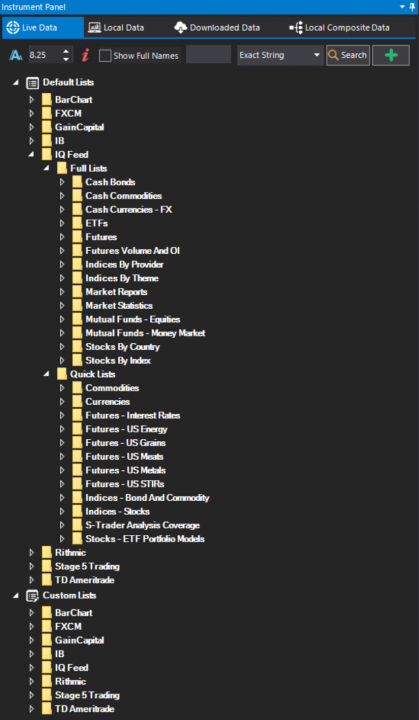 Quick Lists would contain a selection of the most popular products from multiple asset classes and/or multiple exchanges. You have complete control to organize the Custom Lists section as you wish. The Default Lists maintained at the server level are periodically updated. If an update is becoming available you will be prompted to apply it during login.